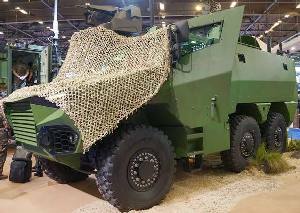 Griffon 6x6 is multi-role armoured vehicles (VBMR). 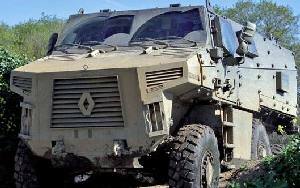 It is being acquired by the French Defense Procurement Agency (DGA) to replace the ageing fleet of Véhicule de l'Avant Blindé (VAB) 4x4 armoured personnel carriers, which have been operational with the French Army since 1976. 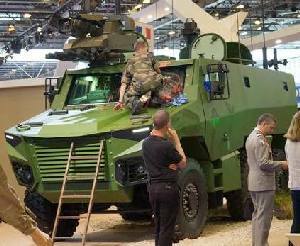 Griffon 6x6 is developed by a consortium of French companies, comprising Nexter Systems, Renault Trucks Defense, and Thales. 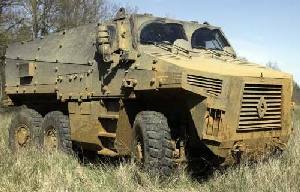 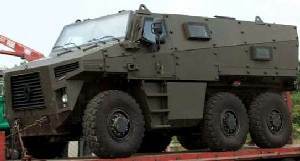 The APC variant is intended for transportation of infantrymen, mounted troops, weapon systems and cargo to the battlefield under high protection.